Legally Strawberry Blonde: Glitter Nail! I thought I would try the glitter nail trend. That is, have only your ringer fingers have a sparkly-glitter shade! 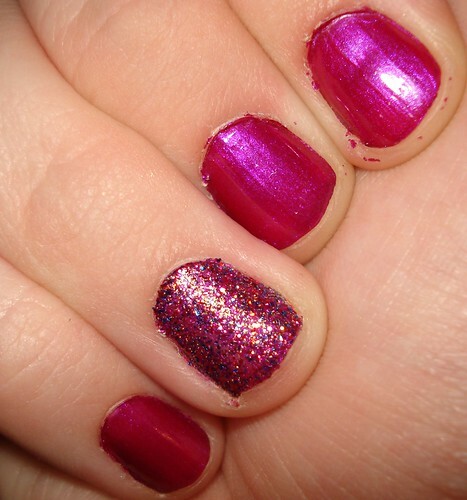 I like the combination I tried and have got to say, I may just do this glitter polish on all my nails! 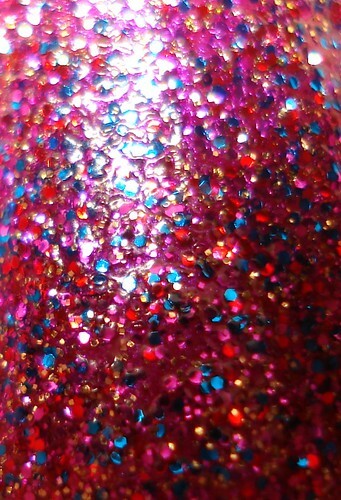 Anyone have any luck finding Katy Perry for OPI's "Teenage Dream" polish?! Sheesh, that baby is no where! Oh well this polish is somewhat similar! 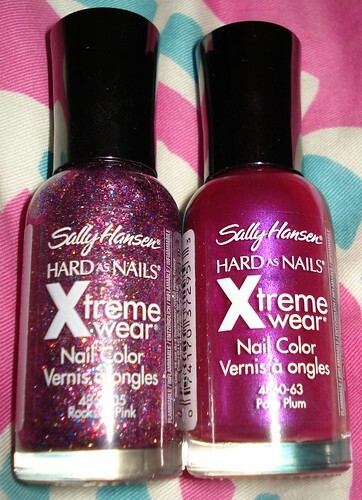 Glitter Nail: Sally Hansen's Hard As Nails Xtreme Wear in "Rockstar Pink"
Rest of Nails: Sally Hansen's Hard As Nails Xtreme Wear in "Posh Plum"
I did two coats of "Posh Plum" on all my nails, except for my ring finger which has one. And then 2 coats of "Rockstar Pink" on top of the "Posh Plum" on my ring finger! And then a clear coat! So are you guys digging this trend? I'm sucker for glitter polish! !